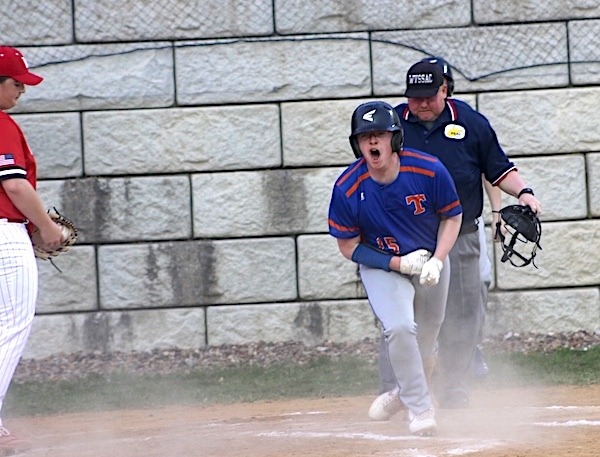 Fort Gay, W. Va. — Tolsia ( 3-12 ) scored five runs in the bottom of the sixth inning to come from behind to beat Wayne for the first time in 26 years 9-7 on Thursday night. It was the first win for Tolsia in the series of bitter Wayne County rivals since 1993 when yours truly was playing third base for the Rebels. Carson Stuart is fired up after sliding across home plate in the first inning victory over Wayne. 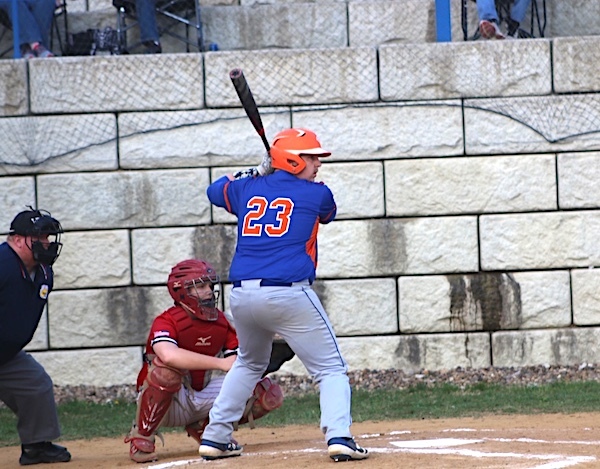 Tolsia started out strong in the bottom half of the first with a four spot that was highlighted by a Carson Stuart 2 RBI single with the bases loaded. The Pioneers scored 2 runs in the fifth and 5 runs in the sixth to take a 7-4 lead. Austin Bailey was very good in five innings of work vs Wayne Thursday night. Rebel starting pitcher Austin Bailey was fantastic on the mound in his five innings of work allowing only 2 runs. Ross Lycan pitched the sixth and seventh innings to pick up the win. Rebel Senior Eric Williams smacked 2 doubles in a victory over bitter rival Wayne. Tolsia was led offensively by Carson Stuart with 2 hits and 2 RBIs, Eric Williams doubled twice, John Wilson 2 hits and 1 run, Caleb Meredith 1 hit, 1 run and 1 RBI, Nick Blackburn 1 run and 1 RBI, Austin Bailey 1 hit and 1 run, Billy Perry and Cole Perry scored 1 run each.